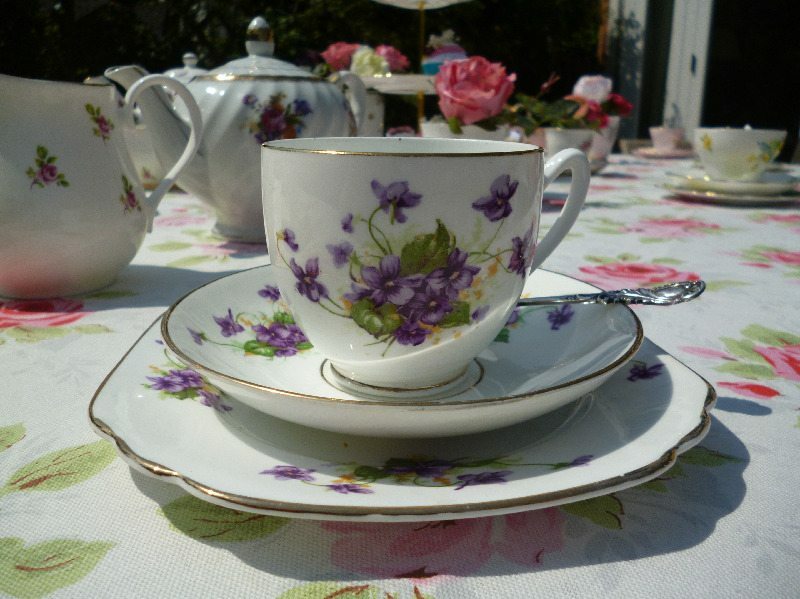 Commission your own bespoke, unique, mix and match vintage tea set. Do you love the eclectic look of a mix and match tea set? 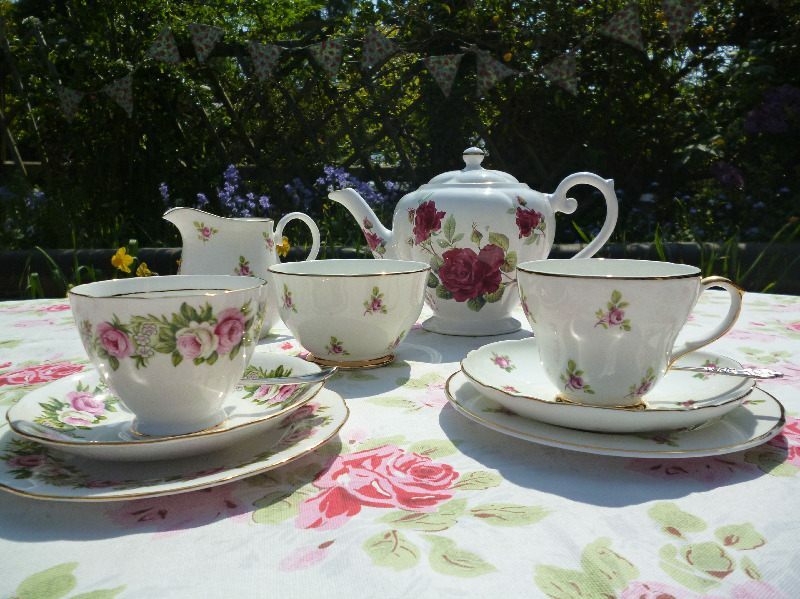 You can commission The Vintage Teapot to put together a collection of beautiful trios and create your own unique vintage tea set. We will get back to you as soon as possible with quote and some questions about the styles of china you like. Once we know your requirements we will put your set together for you and send you photographs of the finished set before you commit to buy. A small deposit will be required before we start to put your set together. Prices per setting will vary depending on the style and age of china you would like to include. 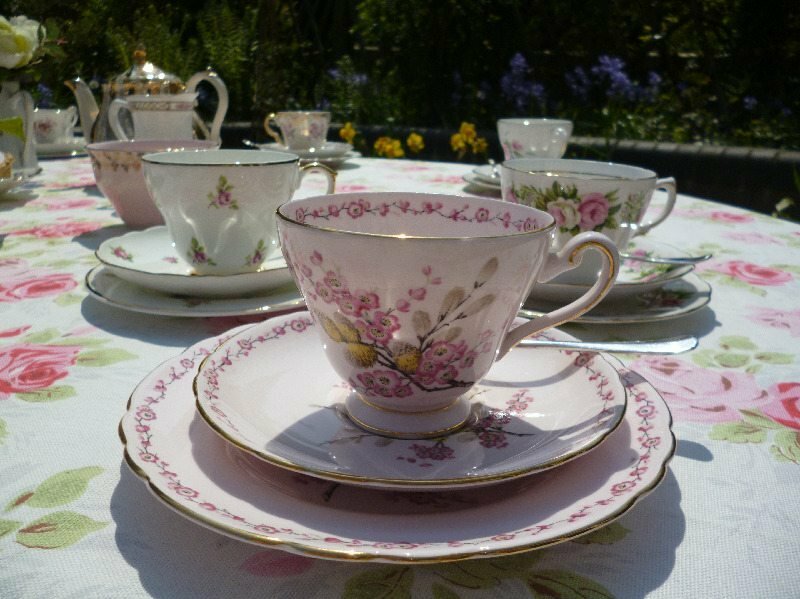 Prices start from £60 for a set of four teacups, saucers and tea plates. Take a look through the photos below for some inspiration.